We want to include you in our giveaways. We usually start out our giveaway by asking a question. Scroll down to the comment form and type in your answer. 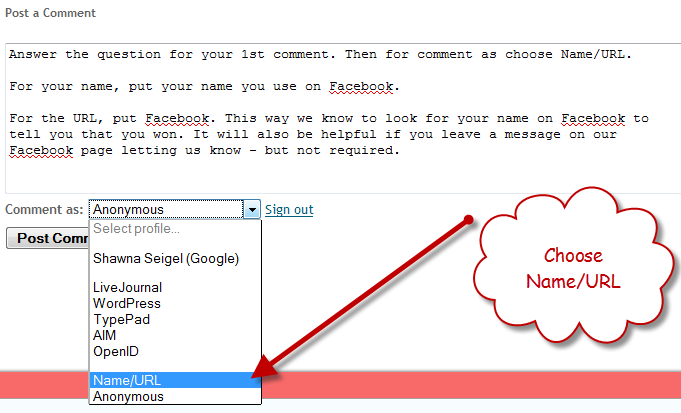 When you get to comment as, click the arrow button to bring up the options, and then - Choose Name/Url. Type in the security code and post your comment. Now create a second comment letting us know you "Like" our Facebook Page (you are a fan). Use the same technique as above. Congratulations. You have just entered our giveaway! 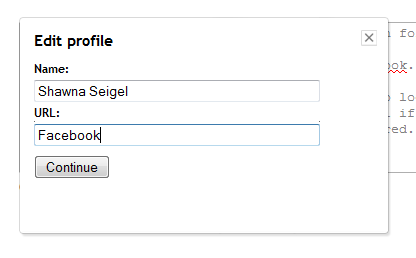 You will want to leave your name and if you are from Facebook you may want to leave a not on Facebook letting us know. This way we know how to find you!